My first trip to Jamaica was a wonderful one! At first I was kind of skeptical when I heard of the crime rate. But I stayed in Mandeville which seemed relatively safe. I was surrounded with the things I like the Church. I attended two different church for the two weeks I spent there. I attended a church social where I had fun praying games eg domino and out door games. Hot soup and sandwiches were served during the event. I visited a Trewlawny farming area. I ate roasted yams and salt fish for the first time. It tasted so well. I also ate ackee and salt fish for the first time. 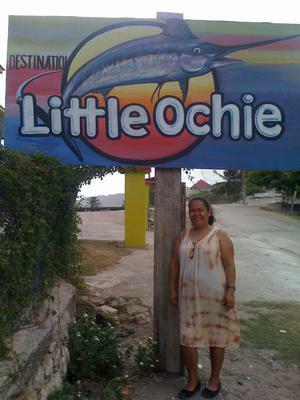 My friend took me out at Little Ochie and treated me to a variety of fishes including the Lion fish. I visited the three popular Universities in Jamaica also I visited the Bob Marley Museum. Well I couldn't go back to my country without visiting there because my family were lovers of Bob's music in the days after over 25 years. I played pools game an evening in Mandeville town. I made new friends! The Jamaican people are quite friendly. There is a similar culture to mine in Guyana. 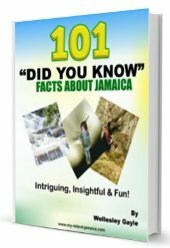 I think one can really enjoy Jamaica you only have to reach with the right people. All in all my trip was a very enjoyable one. You stayed in with the locals, went to church etc. but also enjoyed the good food while exploring other attractions and the culture. Have a story like Salome, please share it with us now- we love to hear em! Thanks again for sharing Salome.